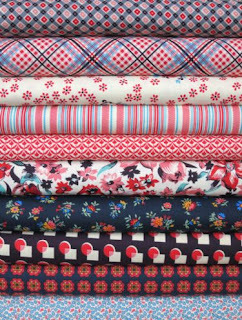 Brenda at Pink Castle is having a fabric bundle sale! Use BUNDLE25 coupon for 25% off all precuts and bundles through Sunday. Shelburne Falls by Denyse Schmidt in color Maple. I love the blue and red combo!! So pretty! 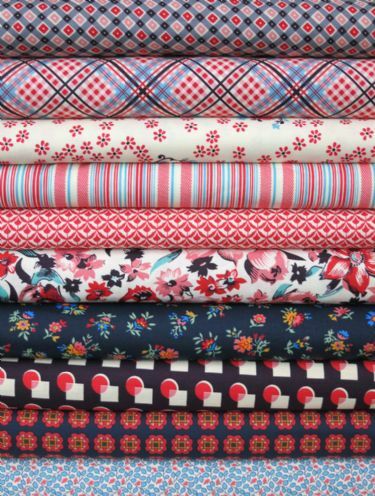 Stay tuned for a project in Stitch using this beautiful fabric! Brenda is also carrying Suzuko Koseki Prints! 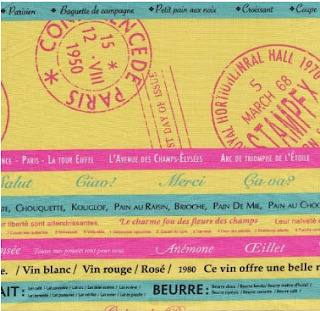 This is one of my favorites - Francophile stripe. I just used this print in a project and love the scale and colors of the text! Click Here to see all the Koseki Prints.